A video doorbell gives you the opportunity to see who’s at your door without even being home. Learn how installing one can deter burglars from your home. By the time you finish reading this introduction, a burglary will have already been committed. In fact, on average, one burglary happens about every 15 seconds. That’s an average of close to 4 million home robberies every year. We know you want to do everything you can to keep your family safe from thieves. But these days, they’re getting smarter and smarter. It’s even possible that the most complicated alarm systems can be quickly dismantled by experienced thieves. Maybe you’re a new parent. Perhaps you’re shaken up by the Kim Kardashian robbery in Paris. Maybe you’ve heard about a recent string of robberies in your neighborhood and want to start getting proactive about your home security. Or, maybe you’re a senior who is a little bit worried about home safety. Whatever the reason, a video doorbell is a great way to make sure you always know what’s going on in your home. This is true wherever you are. In this post, we’re going to outline why, either in addition to a home security system you already have in place or on its own, a video doorbell is a smart way to keep your family safe. Before we talk about how effective a video doorbell is, let’s make sure you know exactly how it works! These are doorbells that, the moment someone rings your doorbell, sends you an alert. This is accomplished by having a camera that connects to the Internet. How you get that alert is totally up to you and can be based on your preferred method of communication. You can get a text, email, or just a notification on your phone that someone is on your porch. Many of these video doorbells are also motion-sensitive. This means that with some models, you can get the news that someone is at your door before they even ring the bell. After you get your notification, you can then access a live video feed of your front porch/front door. This allows you to see exactly who is there waiting. With many different models, you’ll also be able to communicate with that person. There are many benefits to a video doorbell and security camera system. First of all, they don’t just apply to thieves! If you’re not in the mood to talk to the same neighbor that shows up several times a day to chat about her bridge club (again) you can avoid her by accessing your video feed. These doorbells can also stop you from opening the door on people selling something, wanting you to sign a petition, or pretty much any other unwanted doorstep arrivals. Of course, the safety aspect of a video doorbell is the main selling point. Since the live feed can be accessed remotely, you can go out of town without having to worry. No matter where you are, as long as you have cell service, you’ll be able to see who is at your front door. This will also save you money – no more paying for a “house sitter” when you go out of town on longer trips. Plus, if you think thieves aren’t going to notice someone who comes into your house for an hour a day, switches on a few different lights, and then leaves, you’re wrong. Video doorbells are a much more effective way to deter burglars because it will prevent them from choosing to hit your house when they’re casing your neighborhood. Nobody wants to run the risk of being recorded on camera when they’re robbing a house. They would much rather select a house with a traditional alarm system, which can be cut off fairly easily. Also, the communication feature allows you to make the strangers on your front porch think you’re home – even if you’re four states away. You can claim to be “jumping in the shower” or “getting the kids ready for school” even if you’re relaxing on a beach. Thieves aren’t going to choose to rob a house while someone is home. 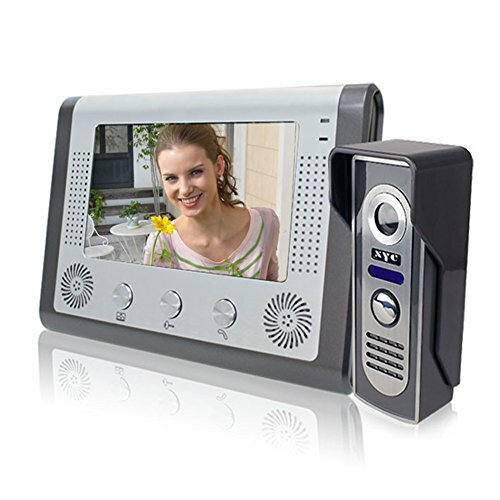 What Other Benefits Does A Video Doorbell Offer? These doorbells don’t just keep your immediate family and home safe. They can also help you to protect the entire neighborhood! Many systems come with both a live feed and an option to access previously recorded videos. That means if the thief who has been terrorizing your neighborhood tries your house, you’ve got his face perfectly captured on your camera. A video doorbell can help you to put criminals where they belong – behind bars. Think about it: when you have a million things to do, when you’re running late, or when you’re just leaving for a “few minutes,” do you always remember to set your alarm system? While we’d all love to be able to pretend to be perfect people, the reality is that sometimes, it’s easy to forget to set an alarm. Your video doorbell is available 24/7, and you don’t have to remember to switch it on and off every time you leave the house. If you’re tired of racing to turn off the alarm every time you walk into your house, these doorbells are a much better option. Plus, they can cut down on the “false alarms” that are so often triggered by traditional alarm systems. You won’t waste the police forces’ time, and you won’t have to worry about proving your innocence to them, either! 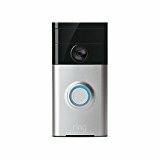 Ready To Get A Video Doorbell Installed? Of course, there are a lot of options to choose from on the market. The exact camera you select will depend on the size or your door, whether or not you want the camera to be visible, and of course, your budget. Don’t know where to start looking, or how to make your choice? That’s where we come in. Check out our website to get access to reviews on all forms of home protection equipment, so you can make sure you’re making the best choice out there.